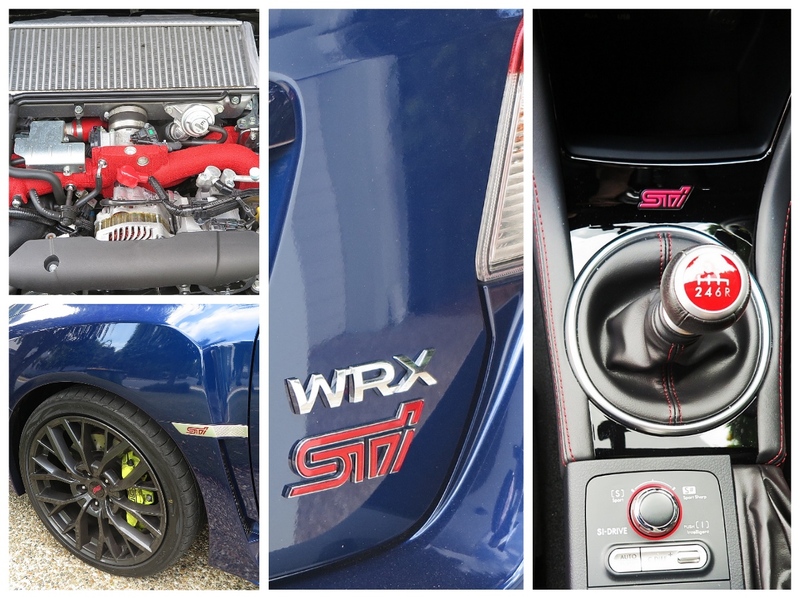 drivingandlife: SUBARU WRX STi - GO REX! Designed for purpose? You betcha! If the purpose is to go fast in a straight line, corner fast, and make a great sound while doing all this, then yes, the WRX STi is most definitely designed for purpose. Is it a practical choice? Who cares! It’s a 4-door sedan, with a usefully-sized trunk, but it’s the performance that is its one true value. 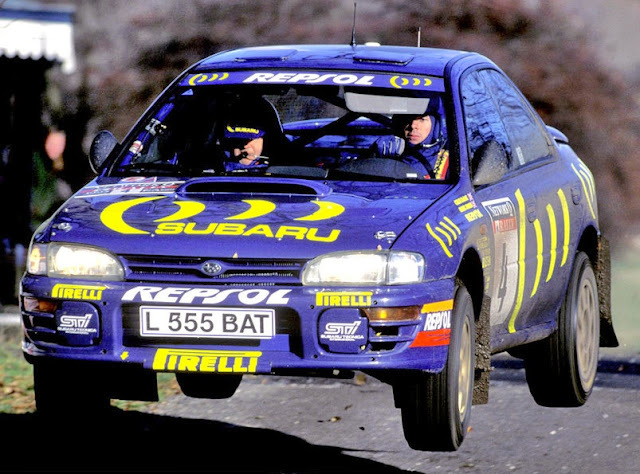 The WRX badge first appeared in 1992, but it was in 1995 that the STi-tuned version jumped into prominence when Colin McCrae won the World Rally Championship. The recipe was simple – a compact, lightweight body, turbocharged boxer engine, six speed transmission, all-wheel-drive and the ‘extra tweaking’ from the STi division ensured that the WRX would remain a vital element of the Subaru model catalogue. Essentially bred for rally competition, the WRX is nonetheless brilliant on bitumen, and its blur-fast acceleration and pin-sharp handling means that it’s impossible not to enjoy driving it quickly. To evoke the real magic though, you need to do all this well out of sight of Mr. Plod and his Highway Patrol car. Incidentally, in Australia, back in the 90s, the NSW Highway Patrol acquired about 50 WRXs to chase speeders, and the cops I spoke to loved them! 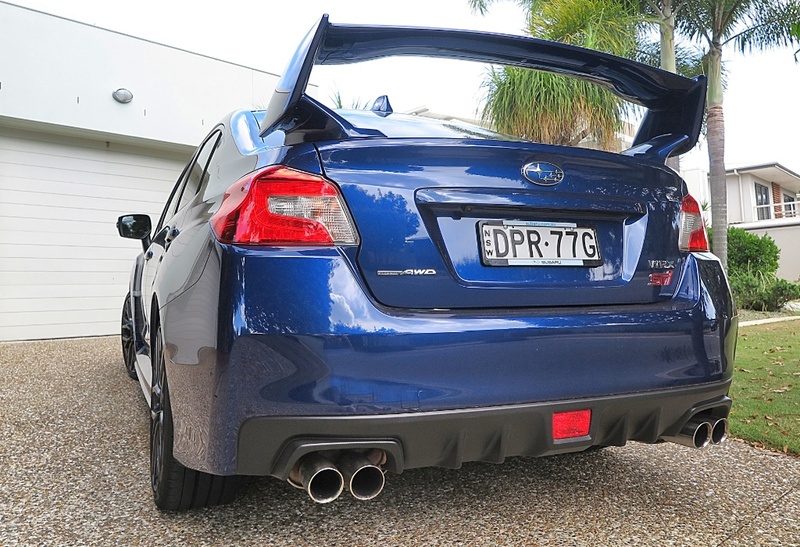 The WRX STi in my driveway is a fabulous car to drive, it does everything right. The ride is a bit filling-loosening-stiff at suburban speeds, but you really appreciate the suspension and body control when travelling quickly. However, I think the sound from the flat-four boxer engine is such a sweet and well-tuned blend of burble, that I know why Subaru owners like to fit free-flow exhaust systems. I can’t think of anything to criticize. The interior is subtle, well-designed and nicely trimmed; the seats are fabulous; and the all-round vision is excellent – aided by remarkably thin A-pillars. This is a car for real enthusiasts. The kind which are disappearing as we get older, to be replaced by millenials, who could give a damn.